"2011 saw the release of Wire’s most critically acclaimed and fastest-selling album in recent years, ‘Red Barked Tree’. The band also embarked on its most ambitious tour to date, embracing four continents and dozens of cities, many of which Wire had never played before. The final leg of the tour saw Wire performing in front of UK audiences for the second time in a year, something not undertaken for more than three decades. In celebration of this extraordinary year, Pink Flag presents a special keepsake for those many thousands that saw the band live, as well as those who weren’t able to make it. Named for the legendary series of radio broadcasts hosted by Bernard Lenoir for Radio France, ‘The Black Session : Paris 10 May 2011’ was initially available as an exclusive tour item during Wire’s UK autumn dates, but will see a worldwide release in February 2012. 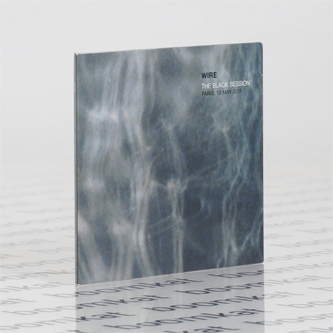 ‘The Black Session : Paris 10 May 2011’ was recorded at Radio France’s Paris studios in May 2011, with Wire performing in front of an invited — and enthusiastic — audience. The album captures the band in razor-sharp form, tightly honed after months of touring. The selection of tracks marries live versions of songs from ‘Red Barked Tree’ with choice cuts from Wire’s extensive back catalogue, including much-loved classics ‘Kidney Bingos’, ‘Map Ref 41°N 93°W’ and ‘Two People In A Room’. The recording is also the first album to feature guitarist Matt Simms alongside the core trio of Colin Newman, Graham Lewis and Robert Grey."